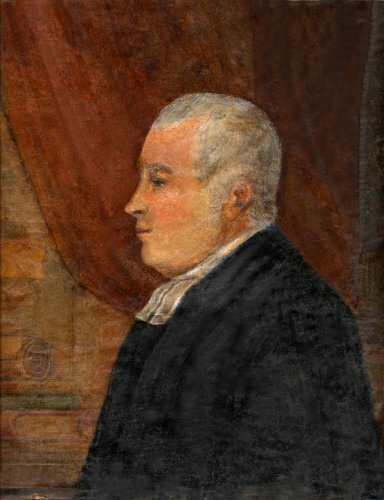 Abraham Bennet, Curate of Wirksworth 1776-1799, was perhaps the foremost man of science produced by this Derbyshire Parish. He was a member of the Lunar Society, in 1789 published his chief work "New Experiments on Electricity", and was elected as a Fellow of the Royal Society. More information is listed below. Abraham Bennet was baptised on 20 Dec 1749 at Taxal, Derbyshire, son of Abraham, schoolmaster of Whaley Lane, Cheshire and Ann Fallowes of Cheadle, who were married at Cheadle St. Mary`s on 20th Oct 1748 by banns. A brother William was baptised 9 Feb 1752. Abraham Bennet married Jane Fallows on 5 Apr 1774 in Manchester Cathedral. Their children were: John baptised 1776, Mary (a twin) died 1777, Sarah (a twin) baptised 1778 and died 1778, Jane baptised 1779, Elizabeth baptised 1780, William baptised 1783, Mary baptised 1784, Catherine baptised 1786 and died 1789. Eliza married Francis Holliwell of Belper, watchmaker in 1803 at Huntingdon. Abraham Bennet died in 1799 after 'a severe illness'. Jane his wife died in Mappleton in July 1826. Also see Email and Taxal genealogy. An article about the achievements of Abraham Bennet by Dr Colin Pounder.